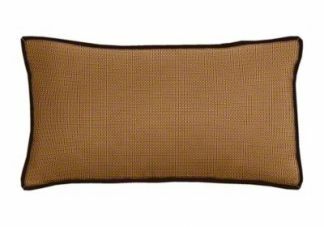 Create custom lumbar pillows for all your indoor or outdoor applications. Provide extra support for your lower back with our unique selection! Start by choosing from hundreds of indoor, Sunbrella, Outdura & Robert Allen fabrics in a variety of colors and patterns. Please Note: Pillow dimensions are based on measuring along the edge of the pillow, not the width of the stuffed pillow. Once filled with poly fiber, the height and width will be slightly less than the measurements ordered. For example, a 12" x 12" pillow will have finished dimensions of 11" x 11". 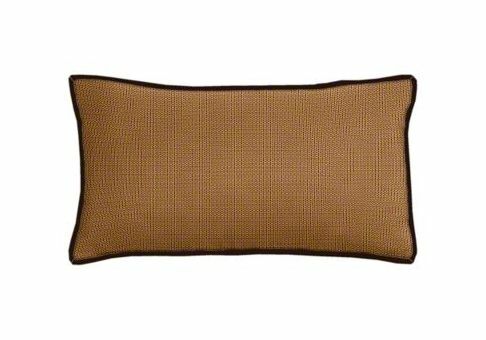 For more information, please read our How to Measure a Throw Pillow information page. I am very happy with the workmanship of my pillows. They look beautiful....I couldn't be happier! Also, last fall, I had custom outdoor drapes made by your company and they too turned out great too! I would order from your site again and would certainmly recommend your service to anyone! Very pleased with my lumbar pillow. The fabric was as shown (no surprises) and I was satisfied with the polyfill. Product arrived promptly, in fact, in less time than originally promised. I am interested to try inserts w/feathers, etc next time around. Overall, I am very satisfied with this product.... Custom made pillows can be quite expensive, so this was a great value! Will purchase again. Very well made! I will probably be ordering more pillows. Carrier Select: You have the option to use your own freight carrier. Call 334-558-0863 to take advantage of this option.